Фотобанк РОСФОТО - микросток. Лицензионные Фото, Видео, Музыка - Italian food ingredients. S 500 x 328px 0.5 Mb. M 1000 x 656px 2 Mb. L 2000 x 1313px 8 Mb. XL 4272 x 2804px 15 Mb. 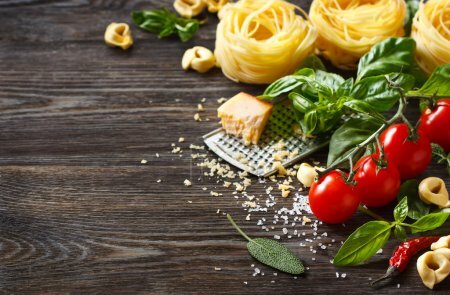 Italian food ingredients for cooking pasta on a wooden background with copy space.